Everyone should have the right to vote in free and fair elections regardless of who they are or where they live. 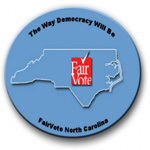 To that end, FairVote advocates for enshrining an affirmative right to vote in the U.S. Constitution. In pursuit of that ideal, FairVote works to enact policies at the federal, state, and local levels that are consistent with our conviction that voting is not a privilege, but a right. 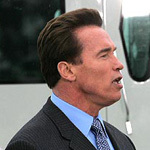 On October 11, California Governor Arnold Schwarzenegger signed a voter pre-registration measure spearheaded this year by the New America Foundation and backed by FairVote, Common Cause, Californians for Electoral Reform and many others. It establishes that all Californians turning 17 can register to vote. Voter pre-registration measures allowing 16-year-olds to pre-register have also become law in recent years in North Carolina and Florida. A member of the Massachusetts statehouse leadership announced last week that a similar measure is her top priority in coming weeks, and the Washington, D.C. City Council last week unanimously backed pre-registration legislation. FairVote's work pushing pre-registration since 2005 is also making a big difference in Rhode Island, where a major canvassing effort (the “Make it Happen” campaign) is underway in support of pre-registration. A Pew Charitable Trusts research team currently is examining the impact of pre-registration on FairVote's goal of universal registration of all soon-to-be-eligible voters, ideally twinned with civic programs explaining voting mechanics and the history of suffrage. North Carolina governor Bev Perdue signed H.B. 908, an election reform bill that includes the FairVote-endorsed policy of youth preregistration and improved opportunities for voter registration in high schools. Following Hawaii and Florida, North Carolina becomes the third state to set a uniform voter registration age of 16-years-old. The bill passed the House and the Senate by votes of 107-6 and 32-3, respectively. The new law takes effect January 1, 2010 and allows 16 and 17-year-olds to "preregister" to vote, including a provision requiring schools to provide voter registration opportunities to students in public schools every year. The bill also encourages schools to expand voter registration in schools by working with local boards of election. Youth preregistration bills have been introduced in several other states this year, including Arizona (HB 2384), California (AB 30), Kansas (HB 2256), Maryland (SB 671), Michigan (SB 61), Rhode Island (SB 5005), Washington (HB 1193) and the District of Columbia (Bill 18-345).